﻿ OSRS Q&A Highlights: Lava Beast & Crack The Clue! OSRS Q&A Highlights: Lava Beast & Crack The Clue! 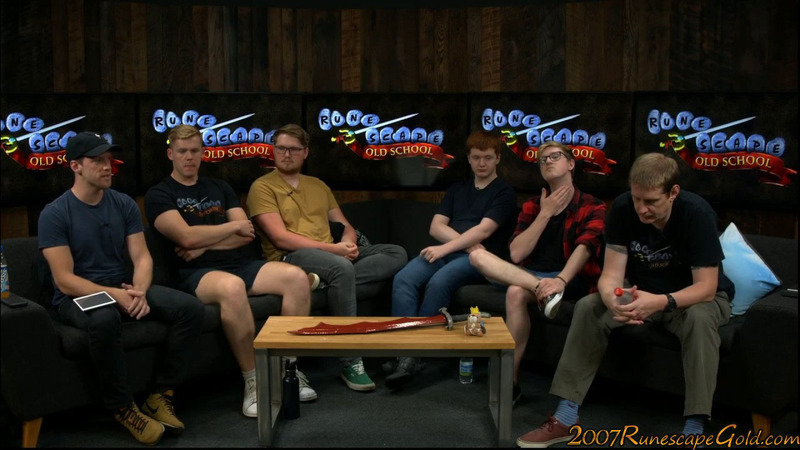 Like many of you, we had a great time watching the most recent Old School Runescape Q&A over at the official OSRS YouTube channel. We wanted to share with you just a few of the things that we thought sounded really cool and that we are excited for in the game! We know that some of you have gotten a real kick out of this and before this live Q&A the Jagex folks had released a few clues on their social media accounts like Snapchat and Instagram. Of course, places like Reddit were like wildfire with people trying to figure out just what the heck these meant and even here at the 2007RunescapeGold.com office, we have had a hard time getting to the bottom of this. One thing we can all agree on is the clock tower has to be involved… or at least we think it does! Stuff like this is why we love Old School Runescape and the people at Jagex. The other thing that we thought was really cool was the sneak peek of The Lava Beast. The video actually shows the developer working on The Lava Beast and he shows the way it moves by showcasing some of the animations that the Lava Beast has. We love the design, it looks like a devil with his big horns and we are just positive he is going to do a ton of damage with those lava hands of his. It is a creature we are very excited to see and we look forward to getting more info on it. What did you guys think of the Q&A? Did you crack the clue? And do you think the Lava Beast looks as awesome as we do? Please leave your comments in the comments section and be sure to save some big money by looking at our low priced OSRS Gold.